So Bryce Harper wanted to be a fireman...and...he still wants to? In the offseason? I'm not sure how comfortable the Nationals would be with their star prospect and one of the most hyped up baseball players of all time running in and out of burning buildings in the offseason. Is there a firefighting clause in his contract? 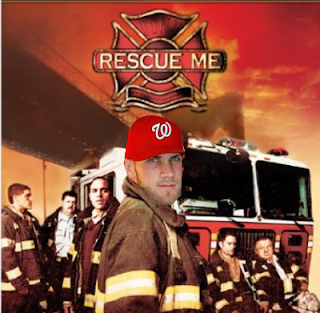 If Harper actually became an EMT or fireman it wouldn't even be the most bizarre pro-athlete offseason job. Ryan Klesko of the Atlanta Braves used to be a part of S.W.A.T. teams during his offseason. He wouldn't actually go charging into houses with a bullet-proof shield, but he would ride-along and observe S.W.A.T. as they raided crack-houses. That seems like it could be a little more dangerous than firefighter training & CPR lessons. Other Interesting Offseasons in Sports: Karl Malone was a truck-driver in his offseasons. Carlos Lee is a rancher. Shaq was a deputy sheriff. Sean Avery was a model. Bo Jackson was a football player. The fact that a young man with Harper's fame & fortune would still want to become an EMT or a firefighter and help save lives is very interesting. Especially considering the negative way some people view Harper's attitude based on previous events like Twitter-screw ups and blowing kisses to other pitchers. Bryce Harper is becoming more and more like the next Gilbert Arenas in Washington DC. A celebrity that the city can relate to. A star, but a guy just like the rest of us. From playing softball on the mall, to clown slogans, to eating at restaurants alone, to having a puppy named Swag, Harper is actually a character that DC will get behind. Arenas used to send fans free stuff, surprise kids at basketball courts and take them to Verizon Center to play ball, and even play video games with fans online instead of going to the club on weekends. The offseason is a long way away and Bryce Harper may or may not decide to actually go through with his plan. If he does, the extent to which he does it will most likely not jeopardize his baseball career. One thing is for certain. He would work hard and become the best firefighter he could be. 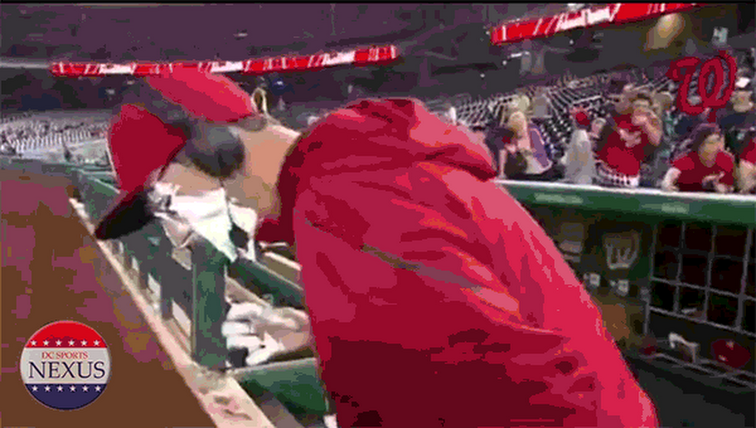 Just another story in the legend of Bryce Harper. 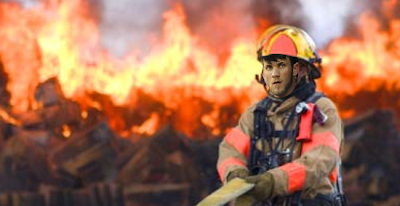 So if you are in a fire and you find your self being carried out of a burning building by a hero, you may look up and see that it is your favorite baseball player; he ain't no clown fireman bro. Calling All Justin Bieber Fans! Vote For Bryce!